We left the Chinese dominated town of Göreme. 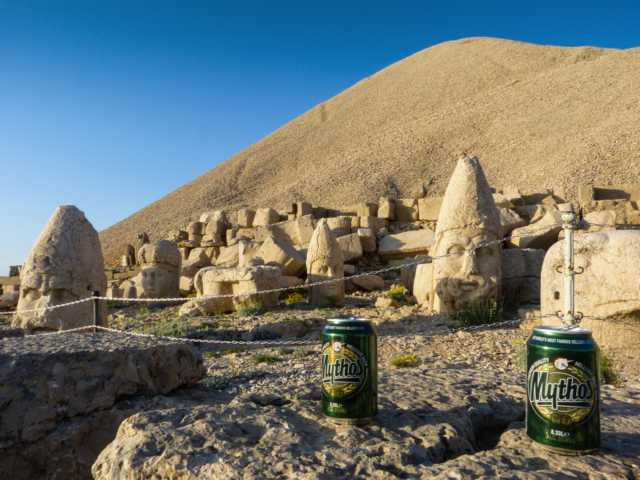 Our plan – a visit to the Gods on Nemrut Dagi. Some 600 km thru hilly, rather monotonous landscape. The only major change was the ever increasing temperature. Overnight stop in Darende. 36° – not much to see, just to recover from the endless road. The next day we arrived at Mount Nemrut. A nice guesthouse near the entrance: Nemrut Kervansarai Hotel. Hotel ok, camping offered but, except for a parking lot, largely nonexistent. In the evening up to the top. Elevation some 2100m, temperature 26° – fine. A good, steep road going up, the last 600m a climb up numerous stairs. However, should you be too old, lazy or whatever, there is option B: rent a horse (mostly used by Chinese tourists). And then, we’re up next to the Gods: they’re all Greek ones: Zeus, Apollon, Hercules, etc. All ok, but unfortunately, the most important one – Bacchus is missing. You know the guy responsible for rotten grapes. All this, on the top of the mountain, is the masterwork of a slightly eccentric king living some 2000 years ago (who also aligned himself in the row of the Gods). Nowadays, you’d consider it probably a simple job creation programme of a crazy politician. … indulged by their all-dominant passion – taking pics. Forget all these odd tourists. Anyway, as we came to know later on only, for us, this should be the last invasion of foreign tourists for quite a while. From now on, on our route, tourists are locals or guys travelling individually. 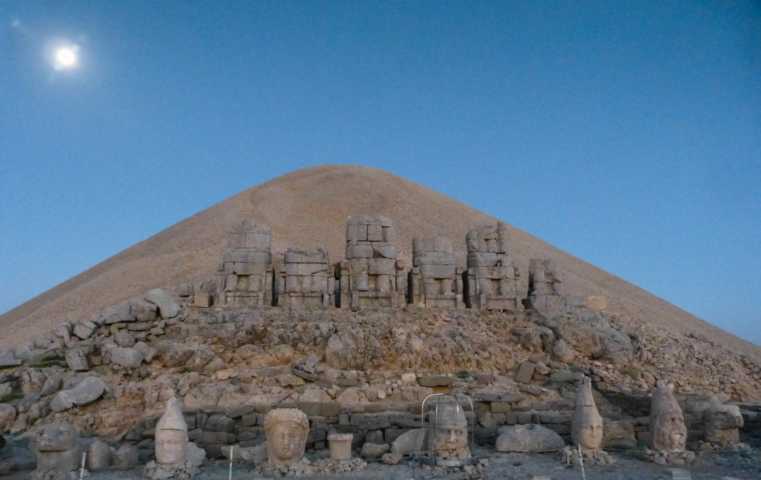 Nevertheless, Mount Nemrut still is a very special and mystic place. 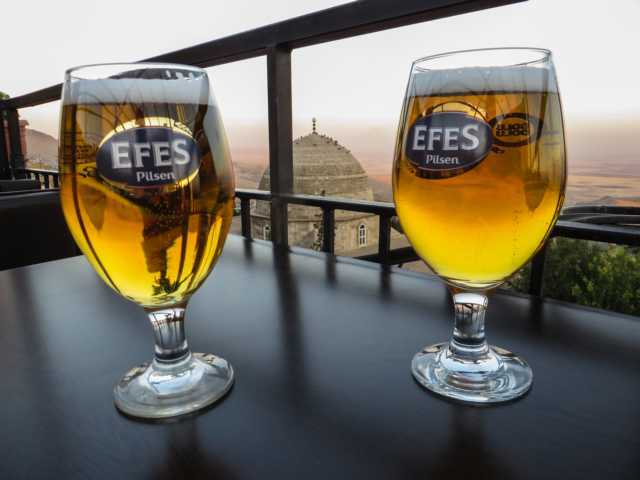 Best to celebrate this with an appropriate sundowner – if possible with Greek Mythos Beer. Next morning we got up at 3.30. An hour later again on the top to watch the sunrise. At the beginning the Gods still in moon light. Later we drove on to Diyarbakir. Still pretty good roads and a lot of construction work to improve infrastructure. We crossed the huge Ataturk reservoir on a brand new Bridge. Finally in Diyarbakir – a center of the Kurdish population in this area. Temperature: 42°. We stayed at the New Tigris Hotel, modern, centrally located, reasonably prized and all important: a secured place for Prado. In the afternoon a stroll in town – the mosque, some bazaars and the all-important tea houses. Well, the stroll was a little less comfortable compared to other Turkish cities – several times we were warned to pay special attention to the numerous pickpockets and other bad girls trying to organise some adventurous events for the odd tourist. Finally, we suppose we were looking too grim that even the worst girls were afraid of us. 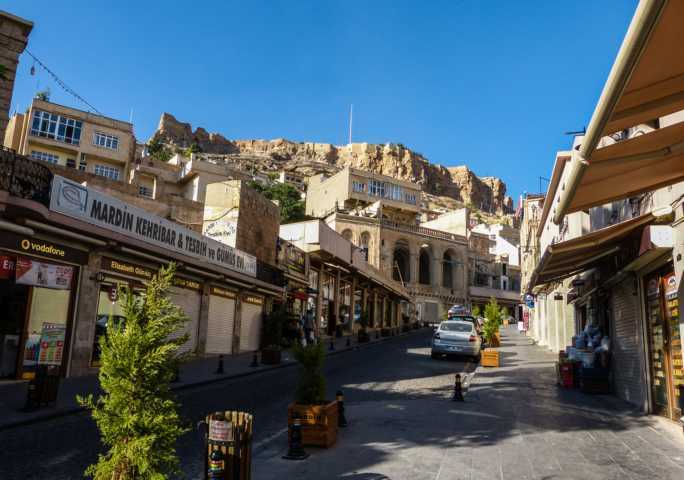 After our mixed experience in Diyarbakir we moved on to the famous Silk Road town of Mardin. A very old settlement on a hilltop dominating the Mesopotamian Plains – somehow an observation point to crises prone Syria. In the evening at a temperature of 39° only, a stroll thru the lanes and bazaars. Unfortunately, due to Ramadan pretty deserted. 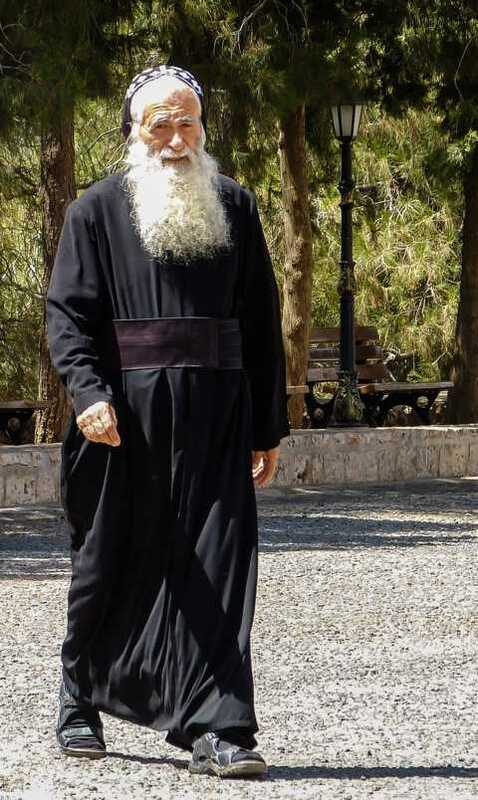 A visit to one of the Assyrian churches and the Medresa. And finally a beer on a terrace with a terrific view. Where else in the world can you observe on a clear day all kind of IS Jhiddies’ activities just over the border while nipping at an ice-cold Efes beer. 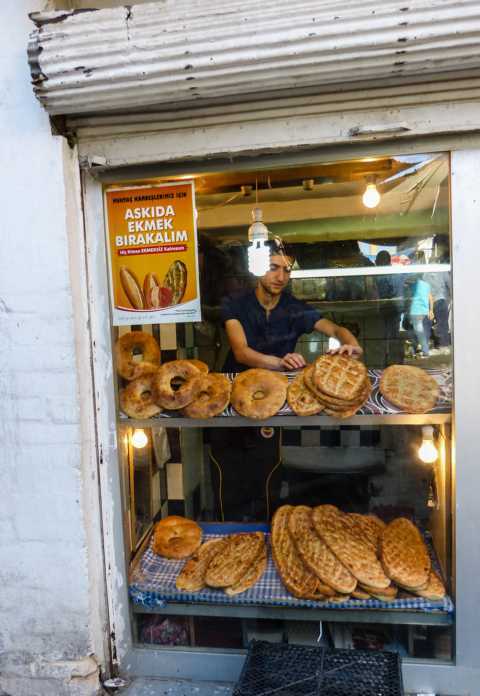 The next morning a bread for the road and on to Midyat. 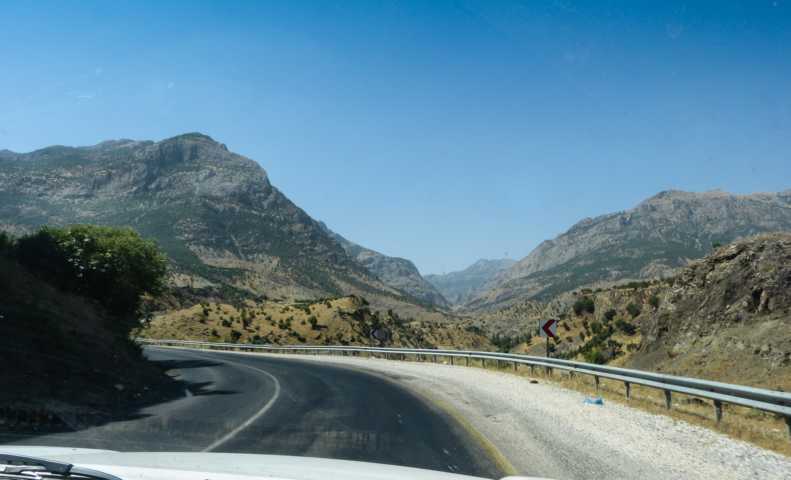 First we took the backroad to Savur. Mountainous, small villages – all very different to the glitter in the western part of the country. But still good public infrastructure and a lot of construction sites. In the afternoon we arrived in Midyat. Sometimes you simply need a splurge – especially if it’s somehow within your limits. As hotel Shmayaa didn’t have many customers at that time they adapted their prizes. 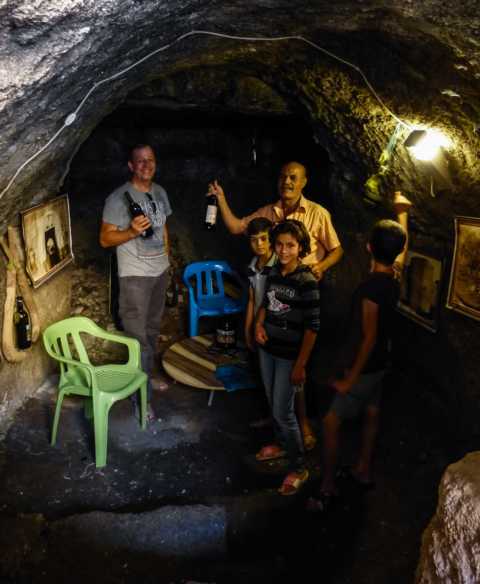 … and visit a wine cellar where they produce their famous Assyrian wine. Of course we had to get some. 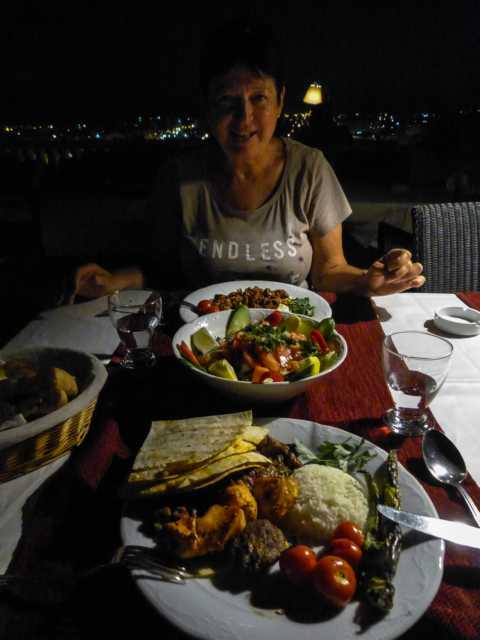 Dinner – of course the splurge continued with some really nice Turkish dishes. 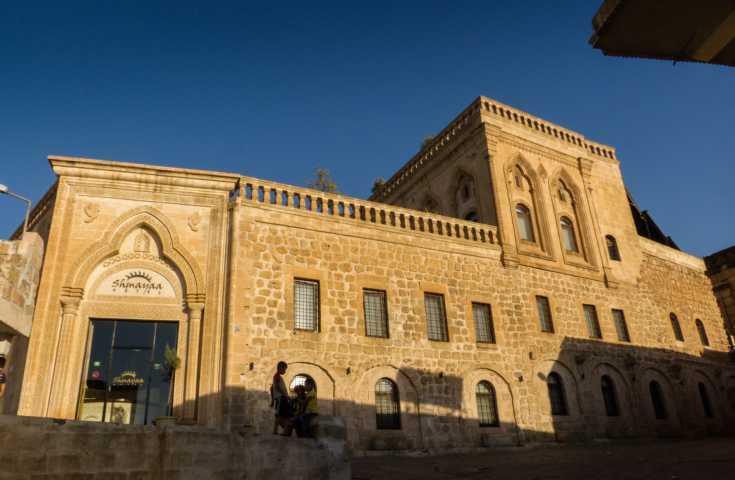 After Midyat some cultural sights – Mar Gabriel. An Assyrian cloister that has somehow survived more than 1500 years. Nowadays, largely renovated with funds from different countries, it looks quite touristy, even when tourists are largely missing. Nevertheless, its inhabitants don’t seem to have changed since Inauguration. 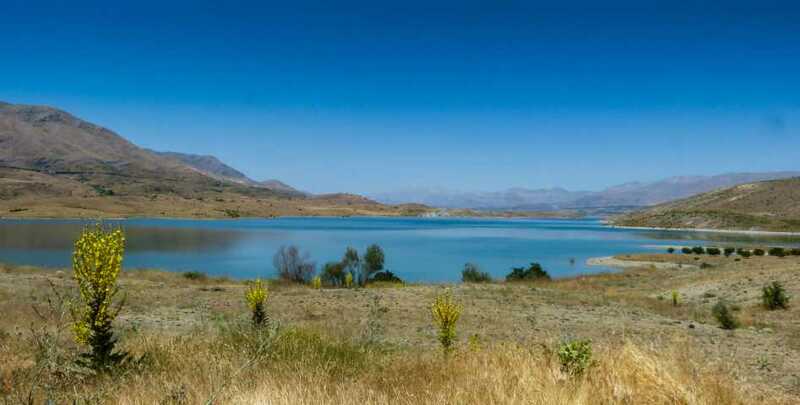 On to Lake Van. 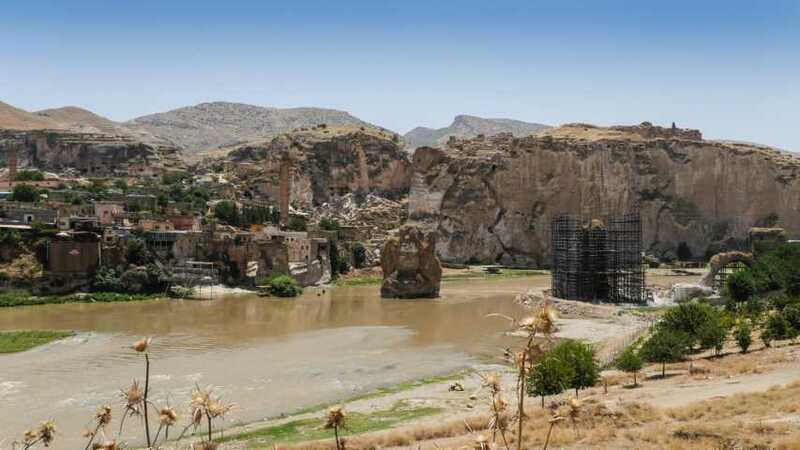 On the way a stop in Hasankeyf. Probably the hottest place visited so far. Some 44° in the shadow, felt 78,5° in the sun. A short visit to the famous old bridge on River Tigris and the historic remains of that important stopover of the Silk Road. 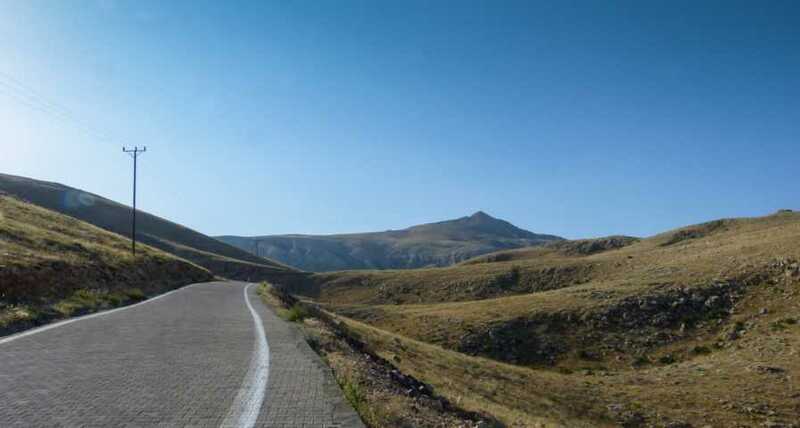 The road climbed to the eastern Anatolian highlands; in the evening we arrived in Tatvan at the shores of Lake Van. What a relief – at an elevation of 1600m temperatures dropped to 30°. Next to ice cold for the region – and gorgeous for us. Of course, the high temperatures of the Mesopotamian lowlands caused victims. Our second battery had to work so hard, even the booster could no longer ensure the good functioning of our all-important fridge. 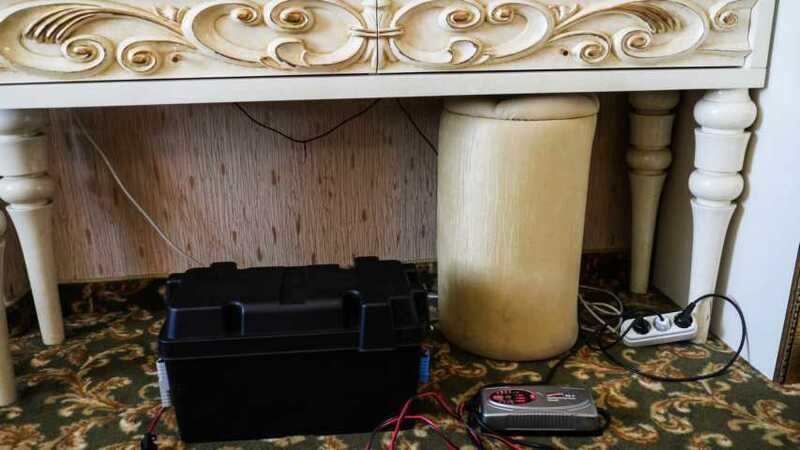 So, get it out, up to the room and have it charged for a day. Hopefully, an exercise not to be repeated too often. Next day we drove up to Nemrut Dagi. Not to be confused with Nemrut Dagi we visited a few days ago. 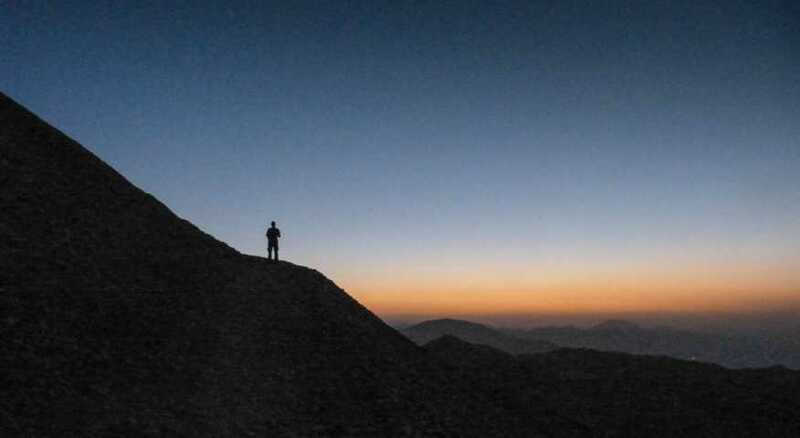 To put it right, we can ensure everybody that Nemrut Dagi does not simply mean hill or mountain in Turkish language. We googled it. This Nemrut Dagi is a 3000m high volcano at Lake Van with a beautiful crater lake. So please don’t get confused with Nemrut Dagi of this crazy guy with his gods. Next destination: Dogubayzit, next to the border to Iran and Mount Ararat. The highest mountain in Turkey; a mountain we’ll not climb this time because we didn’t apply for the all-important permit which takes quite some time to get including all extremely important stamps. But more about this and many more adventures and tales in the next post.